As many of us turn our attention to Christmas and the New Year now is the time that cyber-criminals rub their hands with glee. Online shopping increases dramatically in the run up to Christmas and it is at this moment you should be considering your online personal safety. If you’re like most people then thinking about online security is probably the last thing on your mind but luckily the leading VPN companies have been expanding, beefing up their security and adding other exciting features. All in the name of keeping you protected while you concentrate on more important tasks such as, have you bought Grandad the correct sized underwear this year? or will you buy your wife a new vacuum cleaner or that diamond ring? So without further ado, let’s take a look what the leading VPN providers have been up to in the month of November. CyberGhost VPN is one of the most well known VPN providers operating out of the privacy friendly jurisdiction of Romania. While they’re considered one of the better VPN providers on the market something they’ve been seriously lacking in recent years is server locations. Previously CyberGhost VPN’s servers were concentrated mainly in North America and Europe with a thin scattering in Asia which made them less useful in other locations around the world. With the expansion the service has exceeded expectation and now firmly stamps their place in the market making them a real competitor. Having expanded from a measly 27 countries only recently to over 45 at the date of publication they are now a real contender for your business. Alongside the server expansions, CyberGhost VPN has also increased security and when connecting you’re now secured by the SHA256 authentication algorithm. If you’re interested in finding out more about CyberGhost VPN take a look at our recent review or head over to their website by clicking the button below. As more of us are now protecting our privacy on our mobile devices ExpressVPN has been busy adding features to both their Android and iOS apps [See Also: Our Best VPN for Android Guide]. Most notably is the ability to swap servers while connected to a server. Previously you would need to manually disconnect from one server before reconnecting to another. The new feature for Android and Apple devices has streamlined the process and you can flick to another server location easily. As well as being able to change locations more easily the iOS app now includes the ability to connect using the IKEv2 protocol giving you more choice on how you secure yourself. Current users can take advantage of the new features by keeping your app updated. If you would like to know more about the service then take a look at our ExpressVPN Review. Alternatively, click the button below to visit the ExpressVPN website. Ironsocket has been around for a good number of years now and while they may not be as well know as some of the bigger providers like IPVanish or ExpressVPN, they do have a dedicated following. One of the reasons they’re lesser know is the lack of custom software and apps which makes getting connected just that little bit harder. In an effort to address this and keep up with the bigger providers, Ironsocket has launched their very own first VPN client for Windows systems. 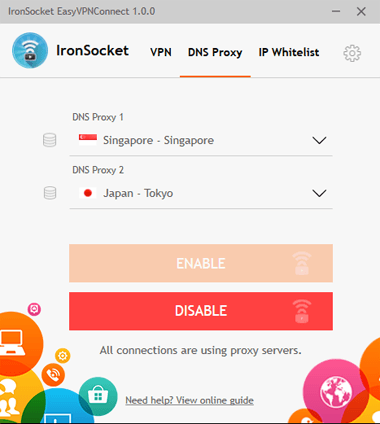 The app called EasyVPNConnect allows users to not only connect to the Ironsocket VPN network but also allows easy connection to their Smart DNS Proxy. For an initial release, the Windows app is packed with features such as VPN drop protection, DNS Leak protection and IP Address Whitelisting. 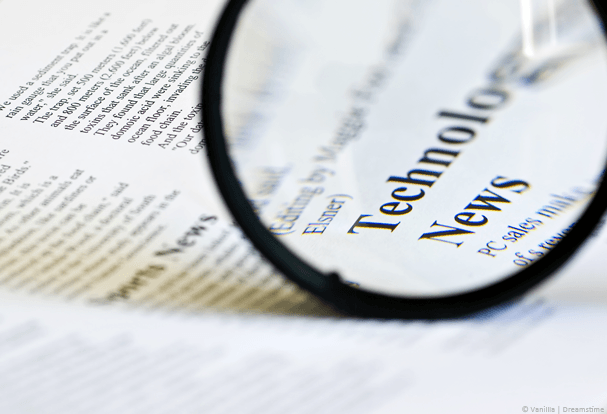 Features that have taken other providers many revisions to implement have been included as standard with the initial release. Although Ironsocket VPN doesn’t currently have apps for any other device, Windows users will appreciate the development. If you’re interested to take a look what Ironsocket VPN offer then click the button below to visit their website. If that wasn’t enough to be going on and you want to know what other providers are up to then take a look at our VPN Comparison Guide.